You could be at beginner or expert with four wheeled adrenaline but you will know that a quad excursion could keep you with bated breath. 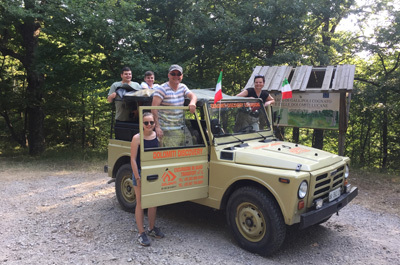 Getting on board our vehicles means to enter in a new dimension characterised by breath-taking sceneries, dirt roads and admiration for landscapes of Lucanian Dolomites, typical destination for many tourists that are free spirits and love living nature in alternative way. Our excursion takes place in Pietrapertosa and Castelmezzano, famous place for Flying Angel. You will be carefree because all is organized carefully. Our centre is the meeting point for the group and the start point for our special excursions based primarily on safety. We will explain you the main rules of quad activity with some easy, quick and not boring indications that could help you to live quietly this experience. Our guide goes with you through wild routes of Southern Dolomites, will explain the mode of operation and will give some suggestions for a safe driving. After this informative part you could spend some moments thoughtless and get involved by uncontaminated landscapes, spectacular spires, windy paths and routes, charged up locations. You could choose among three itineraries to appreciate some breath-taking landscapes with natural differences in altitude of Lucanian Dolomites and to live a special emotion with nature. 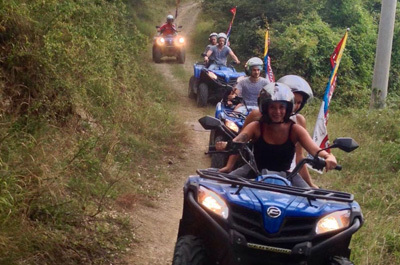 You could start a quad activity with an excursion that lives no room to the imagination and it gives different feelings depending on different personality. Who would live a regenerate experience with nature could live this excursion in relaxing way. who would test his bravery could live it more wildly and fearless. Who would live this activity in soft way could try a quad with 5 seats in addition to the driver. It is perfect to live it as passenger, look the landscape without driving the quad. This service rental on call allows crossing The Seven Stones Path that connects Castelmezzano and Pietrapertosa. It does not take much to have a fun by a quad excursion: fill up with curiosity and energy to start your desire of fun. 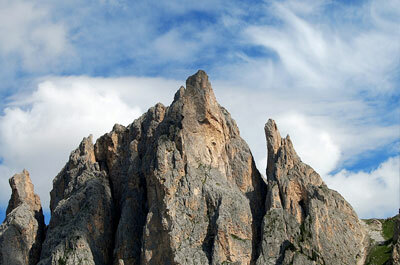 So, try Dolomiti Discovery to see Basilicata’s nature by quad excursion!